A beautiful addition to our Christmas Garden Words fabric. 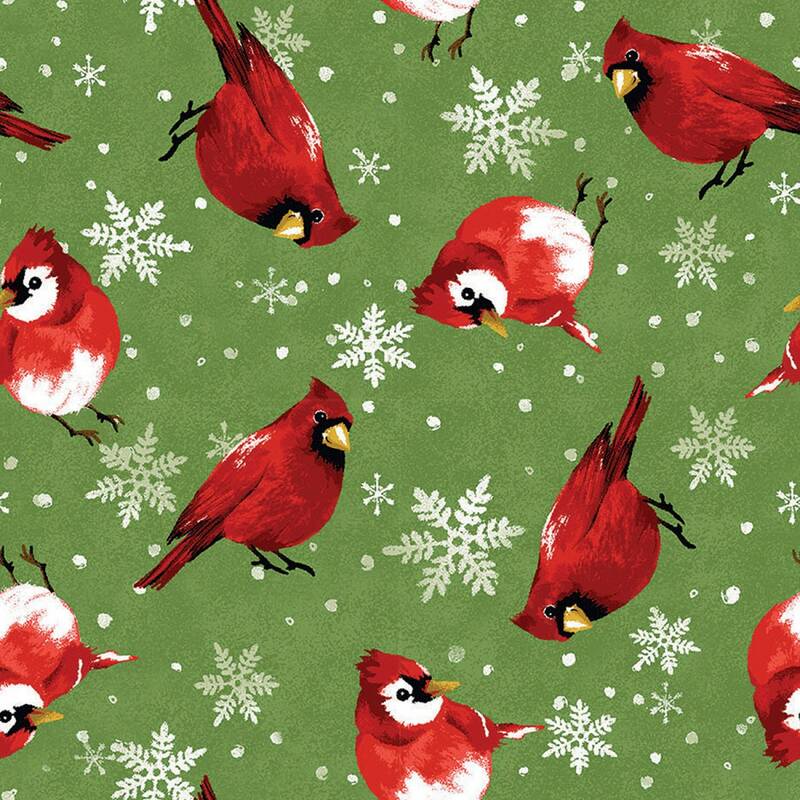 This gorgeous 100% cotton fabric with a lush green background showcasing such sweet red and white cardinals nestled in amongst white snowflakes. What a wonderful way to say Happy Holidays to your family and friends. All fabrics from The Quilted Nursery are cut directly from the bolt in continuous yardage unless otherwise specified. We now offer fractional yardage cuts for your shopping and sewing convenience. Same day shipping on all orders except for Sunday and holidays. Shipping overages are refunded upon shipment of fabric. Perfect fabric for my dream project! Quick delivery. Highly recommend this seller. 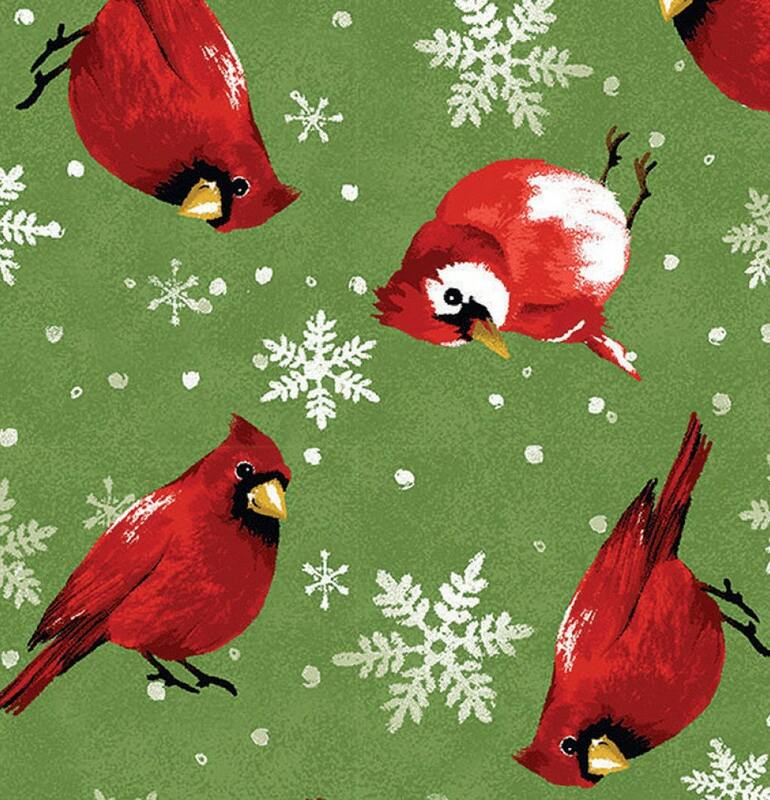 I really love these really adorable cardinals and they came with a wonderful price. Really fast shipping, and an excellent, most helpful shop owner!! Repeat buyer!